Opening at Dubai World Trade Center, 31 October – 2 November 2017, Gulfood Manufacturing is the region’s biggest food and beverage processing industry event which will connect sector professionals with suppliers from 60 countries showcasing the latest F&B manufacturing business improvement tools. As the rise of robots gathers pace across global industries, Gulfood Manufacturing, the Middle East’s biggest ingredients, processing, packaging, and logistics exhibition, will shine the spotlight on how automation is revolutionizing the world’s food supply chain. The event offers solutions for all food & beverage production no matter which F&B category you belong to, Gulfood Manufacturing is for all. 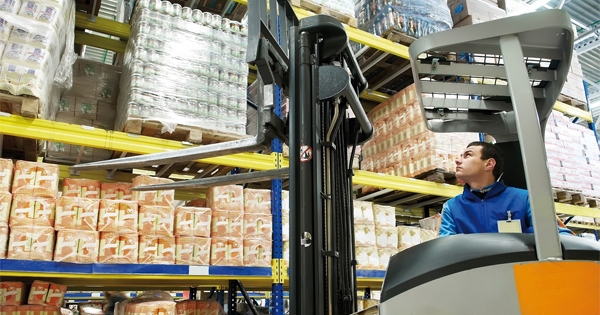 As someone related to the food & beverage processing industry, you can probably name quite a few ways your business can perform better and more profitably. At Gulfood Manufacturing, 1,600 global solution providers will present thousands of practical production solutions that will empower the manufacturers to rise beyond current commercial challenges and transform their businesses into a more productive level. Gulfood Manufacturing is where anyone operating within the global F&B processing industry meets face-to-face to get their production challenges solved – once and for all. At Gulfood Manufacturing 1,600 global suppliers of latest ingredients, processing, packaging and logistics solutions are waiting to meet you and help solve your biggest production, capacity and automation challenges. These are solutions that can save you money which you could be spending on better things, such as diversifying your production line, research & development and marketing. The rising interest in health: is your company missing a trick? Rising obesity levels and the exponential increase of preventable diseases, such as diabetes and some cancers, are easily two of the most significant reasons why consumers are reportedly demanding more health foods. Globally, the rise in population and urbanization is also having an effect; as consumers’ purchasing power increases, as does their standards of living, thus allowing them to focus on a healthier, more sustainable lifestyle. Another major contributing factor is the rise of veganism and vegetarianism among many of the world’s populations. In fact, according to the Mintel Global and Drink Trends 2017 report, the number of vegan food and beverage launches in 2016 was up 256 percent compared to five years ago. Meanwhile, in the UK, Tesco, the country’s biggest supermarket, announced demand for vegetarian and vegan ready-meals and snacks increased by 40 percent in the past year, according to a report in The Guardian in May 2017. The company therefore introduced new labeling to clearly mark vegan products. “Interest in naturalness and clean label continues to feature strongly,” said Lu Ann Williams, director of innovation at Innova Market Insights, as the market research firm revealed its Top Ten Trends List for 2017. Interestingly, we see this trend extend to this year’s Gulfood Manufacturing event, where a range of exhibitors will be showcasing equipment and ingredients to enhance their customer’s portfolio of health-conscious offerings. In 2013, the global market for fast foods stood at US$477.1 billion in 2013, and is expected to rise to US$617.6 billion by the end of 2019, according to Transparency Market Research. Among the various food groups and dishes available within this market, the most popular items are pizzas, pasta, burgers and sandwiches, it reports. Naturally, this is also driving the already-sophisticated food flavors market, which is projected to grow at a compound annual growth rate of 5.4 percent up to 2020, according to a report by MarketsandMarkets. As flavors is region-centric market, growth varies across the world, and it’s been reported that North America is by far the largest market for this industry, followed by Asia-Pacific and Europe. This does not mean it would be wise to ignore the greater demand for natural – over synthetic – flavors, low-calorie ingredients and free-from products, however. In this fiercely competitive and fast-growing health-conscious market, which is threatening other non-compliant markets, we all must ask: is it time to get on board? 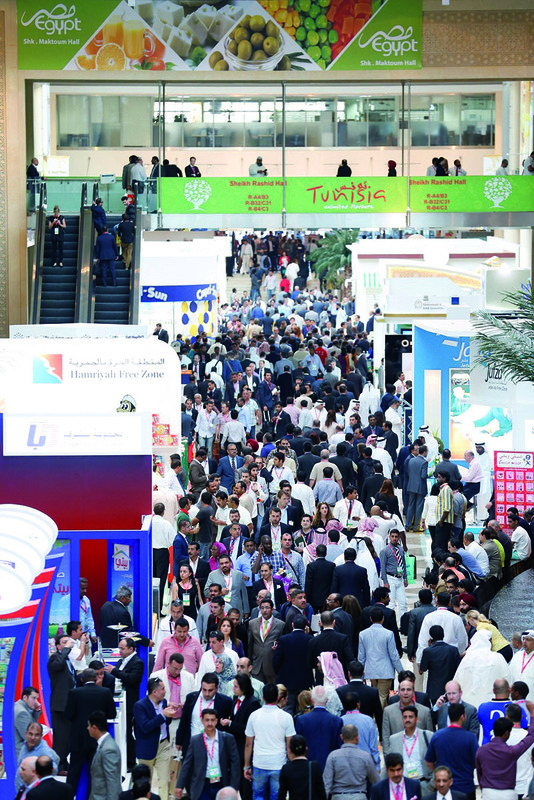 Automation and Controls will be one of five dedicated sectors at Gulfood Manufacturing this year, as the spin-off to Gulfood enters its fourth year. The show, which will span more than 80,000 square meters of exhibition space across 13 halls at Dubai World Trade Centre, and which has cemented Dubai’s reputation as a major player in the global food supply chain, provides the perfect platform for industry leaders to demonstrate the latest automation innovations alongside complete food and beverage solutions reshaping the global food manufacturing industry. 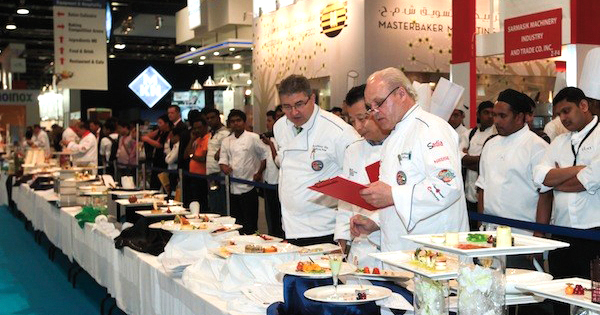 Other dedicated sectors within the mammoth exhibition include Ingredients, which will cover the latest in taste and flavor solutions – from amino acids to yeast nutrients; Processing – featuring the latest answers to all needs from baking to water treatment; Packaging; and Supply Chain Solutions – covering everything from cold storage to forklifts. With consumer tastes and preferences constantly changing and with experience, sustainability and affordability now more in focus than ever, exhibitors will be eager to show that they have the answers to address the latest demands. Gulfood Manufacturing 2017 will see the biggest Turkish and Italian participation in the show’s history, with bigger spaces dedicated to companies spanning all sections of the countries’ food manufacturing and equipment industry supply chain. Every major manufacturing nation will be present at Gulfood Manufacturing including Austria, France, Germany, Italy, Korea, Malaysia, Spain, Switzerland, Taiwan, Turkey, USA and the UK. China, meanwhile, will also roll-out its biggest participation to date as the Far East giant challenges the status quo across the industry. As the world’s population figures continue to soar, so does demand for food with a United Nations Department of Social and Economic Affairs study revealing the global figure is growing annually by 83 million people and estimated to reach 9.7 billion people by 2050. Consequently, the need for food is set to increase by at least 60 per cent. In the GCC alone, population growth is forecasted to maintain a Compound Annual Growth Rate (CAGR) of 2.4 per cent to reach 57.6 million by 2019, according to Alpen Capital. As a result, regional food consumption will rise by a CAGR of 3.5 per cent to hit 51.9 million tons annually. Identifying an urgent need to address growing food demand in the region, fueled by a growing population with an increasing disposable income per capita, Dubai, boosted by its strategic geographical location, modern infrastructure, sociopolitical stability and commitment to economic investment has moved to the forefront of the international food supply chain industry. And Gulfood Manufacturing 2017, which takes place from 31 October to 2 November at Dubai World Trade Centre (DWTC) – will reinforce the emirate’s strategic objective to become a global hub for the food processing and supply chain industries. Backed by a visionary leadership committed to diversifying the country’s economy – the food trade currently accounts for 11 per cent of the UAE’s GDP – Dubai has assumed a crucial role from manufacturing, processing and packaging, to re-exports and the growing importance of food security. The UAE is already the world’s biggest re-exporter of rice, accounting for 81 per cent of global trade. Innovative government-backed initiatives such as Dubai Wholesale City and Dubai Food Park and private sector investment, highlighted by halal food producer Al Islami’s USD27.2 million facility at Dubai Investment Park, Brazil’s BRF SA’s USD150 million plant and Abu Dhabi’s National Food Products Co’s USD411 million facility at the Khalifa Industrial Zone Abu Dhabi (Kizad) have further cemented the UAE’s increasingly influential role in the food supply chain industry. 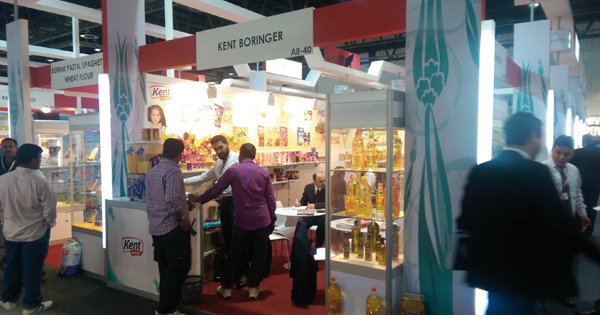 “Government and private sector investment in the industry complement Gulfood Manufacturing as all major stakeholders continue to work together in Dubai’s quest to become the primary hub in the global food production value chain,” added LohMirmand. Also new for this year are the Gulfood Manufacturing Awards, which will recognize industry excellence in a glittering ceremony and gala dinner on the evening of October 31, while the Innovation Tours will offer visitors a memorable journey showing real-life innovations within some of the region’s top, award-winning food factories. An industry-leading conference will also be held on the sidelines of the exhibition featuring in-depth analysis, debate and discussion on topics including digitization in the industry, smart manufacturing, big data and analytics.